An obvious statement: This book should not have been published. Well, perhaps this is not so obvious. Go Set a Watchman was a success from one point of view, which is the one of making money, and that is probably all that matters. We have been informed by Lee’s lawyer, Tonja Carter, that a third manuscript may have also appeared (more accurately, another draft of Mockingbird). For anyone who is concerned about Lee’s papers being carefully treated after her death, Go Set a Watchman and the subsequent announcement of a potential third book are both cause for alarm. Many of us are interested in Lee’s papers. There is the second novel, if anything of it was ever written or survives. There’s also her true crime attempt, The Reverend. On the other hand, there’s a perverse attraction in the thought that she never did write anything else, that she wrote one instantly winning book, decided she said what she had to say, and then retired and joined the ranks of the other cherished recluses of literary history. Who can’t admire the person who can say, well, I’ve succeeded enough? Digging deeper into Lee’s life (with the help of Mockingbird, a biography by Charles J. Shields) complicates this myth but doesn’t altogether dispel it. Lee was never a recluse, but she hated—and, presumably, still hates—journalists. The second book was always meant to happen, but she spent much of the critical years after Mockingbird assisting Truman Capote with In Cold Blood—five years of work, including multiple extended trips to Kansas, research, and editing the manuscript. Indeed, it is probably fair to regard In Cold Blood, if not as Lee’s second book, as the book that took its place. Capote, who never met a hand he did not immediately bite, repaid his childhood friend first by not listing her in the book’s acknowledgements, and then by telling his biographer that Lee’s mother had tried to drown her twice as a child. "When they talk about Southern grotesque, they’re not kidding!" he quipped. That was the end of their friendship. Then her literary agent, Maurice Crain, grew too ill to represent her; he died; her editor, Tay Hohoff, retired; she died. 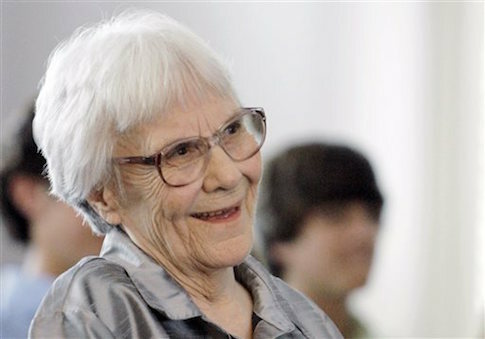 So Harper Lee retired, too. Eventually, these accidents coalesced into the myth of the woman who said only what she had to say, and no more, a myth that Harper Lee herself seems to have come around to believing. To Kill a Mockingbird became a fixture in high school literature curricula and its author passed into legend. The end. Go Set a Watchman was not a separate book but an early draft of Mockingbird, and contradicts Mockingbird on at least one important particular (the outcome of the Tom Robinson case, which was successful in Watchman but not in Mockingbird). Despite this, it was published as-is. Without speculating overmuch as to motivation—perhaps Alice maliciously suppressed this manuscript and Carter is respecting Lee’s wishes—concern about the wisdom of this book’s publication is not greatly in evidence here. What about quality? Did Lee’s editor, Hohoff, cut down a work of great literary genius? No. Watchman is an undeniably bad book, structurally unsound, with no real plot and not even a real ending. It shows everywhere the signs of having been written by a person who thought primarily in short stories (as Lee had up until that point). It has long and awkwardly inserted digressions into childhood that are meant, I think, to provide its thinly sketched Maycomb County with some texture, but instead just feel dropped in from some other book. But, of course, it was never meant to be judged at this level—it was meant to be judged on its potential, which it has, and which Hohoff saw and cultivated. You can hear Harper Lee’s authorial voice from the first line, when Jean Louise looks out "the dining-car window with a delight almost physical." But even if it had been published in a less dramatically revised form, it would have required substantial work. (One example: there are multiple references to a Supreme Court case, the details of which are never closely discussed. The case is probably Brown v. Board of Education—but good luck figuring this out.) If read as an illustration of Mockingbird’s virtues, the book becomes slightly more interesting, if not much better. Go Set a Watchman takes place from the perspective of an adult woman, Jean Louise Finch (Scout to her father, Atticus), who travels back home from New York City back to Maycomb County, Alabama. There, after reuniting with her family and with Hank Clinton (a childhood friend who is eager to marry her), she discovers that her old friends and family are opposed to racial integration, that her father and her would-be husband sit on the Maycomb County Citizens’ Council and work to thwart the NAACP, and that her aunt keeps racist pamphlets in the home. Betrayed and enraged by this, she prepares to leave after only three days. This is all resolved, sort of, though not in a way that anybody is likely to find dramatically or morally satisfying. As a historical artifact, particularly one published into the middle of this summer’s very contentious argument about the Confederate flag, Go Set a Watchman is partly interesting because of how little things have changed when it comes to discussions of "Southern heritage." When Atticus mildly explains to his daughter that he is simply a Jeffersonian Democrat, he is not merely speaking like one of the many Confederate nostalgists writing today, but like my own friends from my Tennessee childhood. Similarly, existential threats are invoked but left suspiciously undefined. When Jean Louise demands answers about why her family is willing to work with open racists, they do not condone white supremacy but they do not condemn it either. White supremacists, as members of the community, have at any rate a right to a voice, though black members of "the community" seem not to exist. Such reasoning is presented to Jean Louise as a matter of tribal allegiance: We can’t help it, we are who we are, and we must follow out the tragic logic of our heritage, whatever it is exactly that our heritage is. For all its directness, Go Set a Watchman flinches from really considering the town where Scout grew up and her own childhood. Maycomb was good, until it was bad. Its ultimate resolution is a vague gesture toward the importance of living in communities, even though it is clear that this particular evil is being enforced as a community norm. There is no clear sense in which thinking well of other people is a solution to systemic racial oppression, but it is the solution offered to Jean Louise by her father and her uncle. Boo Radley, for this purpose, comes to be not so much the friendly giant next door but a particularly awful dramatization of the ways in which Maycomb County turns a blind eye to evils within its limits. Boo Radley is not really reclusive, or at least is not according to neighborhood lore. He is literally imprisoned, seemingly against his will, next door to the Finch household, for the crime of making his father look slightly foolish. When he finds an outlet to the rest of the world through his gifts to Scout and Jem, his brother destroys it. When his intervention to save Scout and Jem threatens to expose him to the outside world, the local sheriff refuses to allow it. Atticus acquiesces. The decision is framed as an act of respect for Boo’s privacy; but it is unclear he wants that privacy respected, or that it even is privacy for him. But just as Atticus can convince himself that the lynch mob he faces at one point in the novel is composed of basically good people, so he can convince himself never to do much for Boo Radley other than ask that his children not bother him. Maycomb County encourages everybody to stay in their own lane; what goes on in that lane is of little importance. Mockingbird preserves the divided loyalties of Watchman by splitting Scout’s narrative voice into a young Scout and an adult Scout. But instead of pouring all of the trouble into straightforward speeches, it proposes to do to the reader what it does to young Scout: trick them into loving the place and then show them the rot by degrees. At this, it succeeds, possibly too well. It was memorably dismissed by Francine Prose in her 1999 Harper’s essay "I Know Why the Caged Bird Cannot Read" as one of many "sentimental, middlebrow favorites" that dominate poorly taught English classes: "To read the novel is, for most, an exercise in wish-fulfillment and self-congratulation, a chance to consider thorny issues of race and prejudice from a safe distance and with the comfortable certainty that the reader would never harbor the racist attitudes espoused by the lowlifes in the novel." But if the reader really is comfortably ensconced in Scout’s point of view, they would have to be very comfortable indeed not to notice the ease with which she slings around racial put-downs. To Kill a Mockingbird is certainly middlebrow, if the word means anything, but it is not really sentimental. It is a loving portrayal of the South that I know, for which I do not feel only love. It is not perfect. But it is good. It is easy to imagine an edition of Watchman that could have been better. Packaged in a critical edition, with correspondence between Lee and her editor showing how it developed into the book that we now know, it would have been a more useful volume and probably just as explosively a successful one. If nothing else, it would have been a reminder that no book is the product of one person, or of one genius, no matter how intriguingly reclusive. Books come from writers, editors, agents, friends, and places; they are objects formed by one sensibility, but with help from many others.